JOINT BASE LEWIS-MCCHORD, Wash., Oct. 18, 2017 – More than a thousand service personnel and their spouses took part in career development programs and learned more about their post-military career opportunities at a Hiring Our Heroes Transition Summit held over three days at several area military and veteran support facilities. 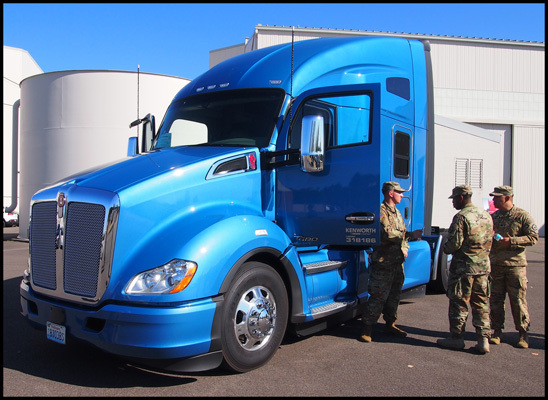 For further information on the Transition Trucking: Driving for Excellence recognition program, visit www.TransitionTrucking.org. More information on Hiring Our Heroes is available at www.uschamberfoundation.org/hiring-our-heroes.